This is probably a field mushroom, though it is hard to be sure because only the top of the cap was visible. 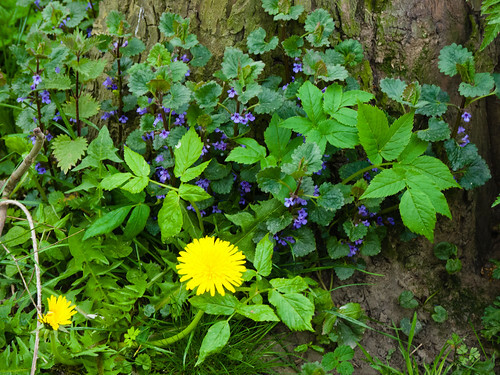 It was growing through the gap in the pavement left for one of the trees which line Tettenhall Road. A fly feeding on an early buttercup in mid May. The head and body of the fly are flecked with bright yellow pollen. 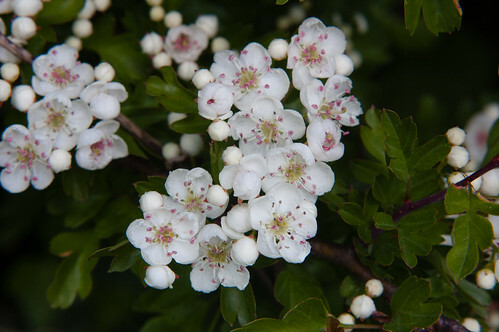 This hawthorn blossom was coming out, in line with its alternative name, precisely in the middle of May. 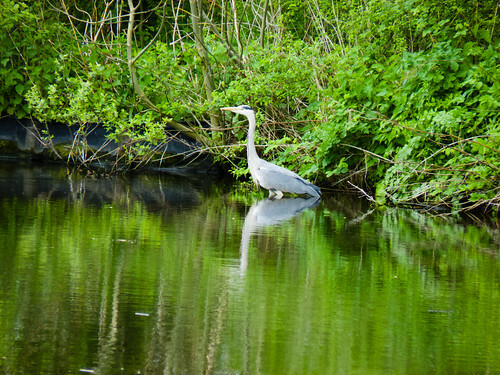 The heron’s legs are almost submerged in the canal here as it surveys the water for fish. This position emphasises the length of its body. 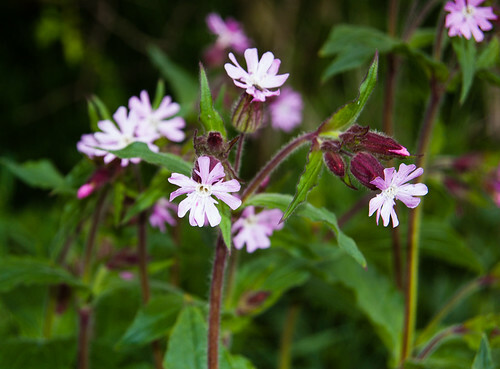 The pale pink colour of the flowers indicates that this was a hybrid of the Red and White species. 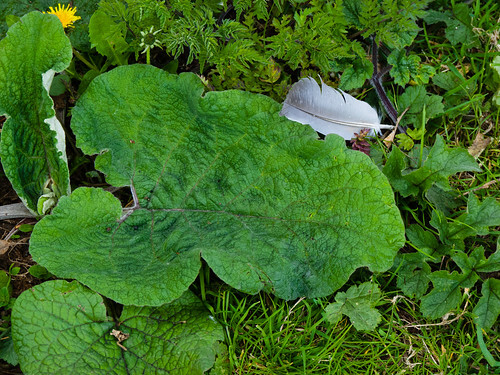 Vetches (there are many species) are closely related to peas and lentils, and some species have in the past formed part of a diet of last resort. 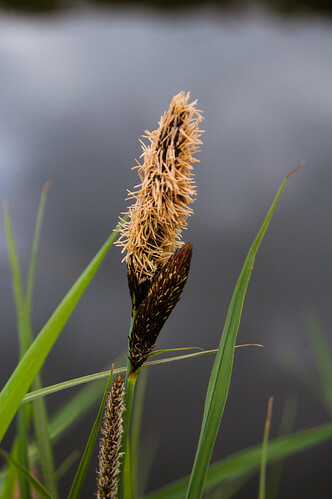 Here coming into flower, sedges are common at the sides of the canals locally. 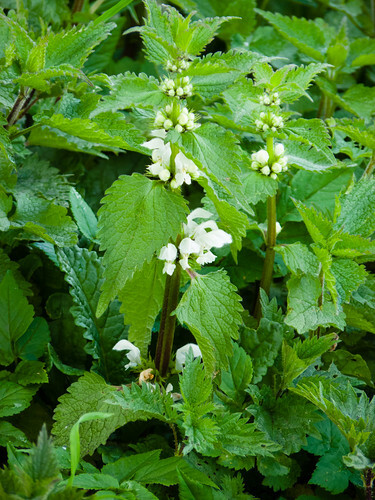 Like the dead nettle, the deadness is because it merely looks like a nettle, and does not sting. 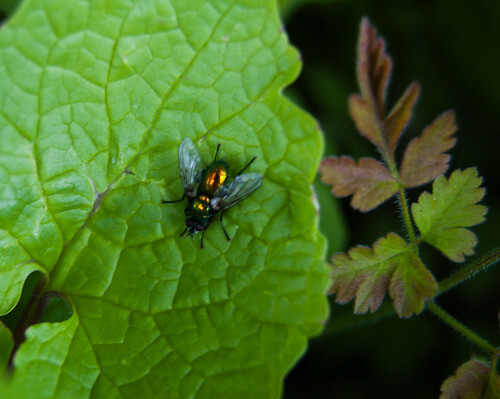 A very distinctive fly, with its bright shiny body. 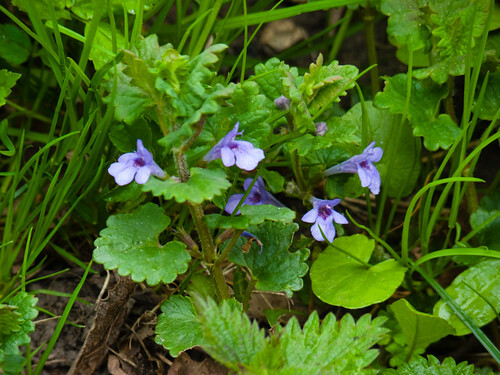 Like many wild plants (often also seen as weeds) this one has lots of folk names, including Creeping Jenny. It’s a member of the mint family. Apparently these are edible, though the descriptions I have seen are not such as to enthuse me to rush out to give it a try. 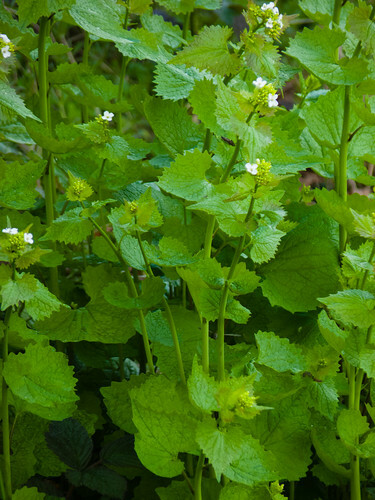 Among its other names is Poor Man’s Mustard, which gives the pointer to the plant family it belongs to, and to a possible culinary use.